Linda Gilleland, CIC We take great pride in our superior service, knowledge of and specialization in multiple insurance products, and access to the industry's leading companies. Honesty, integrity, and courtesy are just a few of Greystone's hallmarks. Our adherence to these values means you can trust in us to help protect your hard-earned assets. We offer multiple insurance lines including a full line of business insurance products, financial products, employee benefits, life insurance, homeowners, automobile, and investment properties including vacation rentals just to name a few. More than seventy years have passed since LifeStore Bank first opened its doors as a local building and loan association. Although today's mission is no longer so simple, at our core, we are still an institution designed to help the community grow. We are offer a whole spectrum of banking products and services. LifeStore Bank and Insurance operates a full service location in Boone, on Hwy 321, next to Burger King. The mission of our office is to help our customers manage the risks of everyday life, save money for their future, and realize their dreams. We want to be the first choice for all of your North Carolina insurance and financial serviceâ€™s needs including Mortgages. We're famous for Auto Insurance, and Home Insurance throughout North Carolina including Boone, Blowing Rock, Banner Elk and Newland. 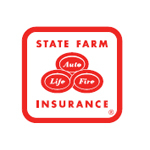 We also focus on Life Insurance, Health Insurance, and Financial Services.